Being Frugal and Making It Work: Lil' Teammates Sports Collectibles Review and Giveaway - 3 Winners! Lil' Teammates Sports Collectibles Review and Giveaway - 3 Winners! My husband and 10 year old son are huge sports fanatics. Hockey is their favorite sport of all time, they are almost to the point of being obsessed. Our son is a huge Steelers and Red Wings fan, dedicated and loyal no matter what others say. He also has a huge sports collection: figurines, trading cards, baseball bats, posters and more that cover his room from top to bottom. I was recently introduced to Lil' Teammates and they are a huge hit! These lil' guys are so cute and adorable. One look at them and you will fall in love. Their facial expressions are simply priceless. They each have their very own distinctive and unique personality. These lil' collectible sports figures are durable enough for children to play with. They are also perfect for teens and adults to add to their sports collections. Believe me when I say that these lil' guys are perfect for boys and girls of all ages! My husband likes them just as much as our kids do! 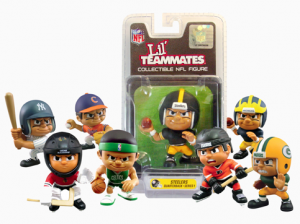 Lil' Teammates are the perfect gift for any sports fan or collector! From Father’s Day, birthdays, stocking stuffers, party favors, prizes and so much more! There is also a fun and interactive Lil' Teammates website that allows kids to register their figures, play games, learn about their favorite teams and win free stuff! 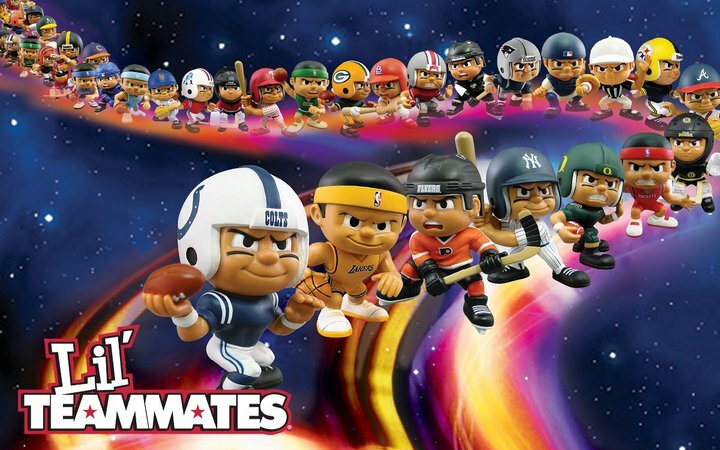 Lil' Teammates are the hot new collectible sports figures from Party Animal Toys. Each 3" figure represents a player from one of your favorite NFL, NHL, MLB, NBA or collegiate sports teams. Series 1 contains over 200 individual figures alone. Start your collection today! THREE (3) lucky Being Frugal and Making it Work readers are going to receive (2) Lil' Teammates Collectible Sports Figures of Their Choice! Visit Lil' Teammates and tell me which 2 figures you would choose. A special thanks to Party Animal Toys for this great review and giveaway opportunity! love the FLorida gator quarterback and running back. I would love any two of the boston bruins teammates! My nephew would LOVE the Philadelphia Flyers Goalie and Slapper! They would make the perfect gift for him! I'd love the New York Mets batter & pitcher! 3 I subscribe by email. I would get a cowboys Lil Teammate and a Dolphins Lil Teammate. My sister and Dad love football and they would love these!! Ace rare collectables., the Web's leading source for authentic Ace rare collectables. You've come to the right place if you're an avid collector sport or just a fan. In our extensive online catalog of over 200,000 products for your favorite athlete or team memorabilia. In addition to our excellent service, you will find that each of our items come with a certificate of authenticity and our authenticity guarantee. Our online store carries a variety of products for the major sports leagues like the NFL, MLB, NBA, NHL, NCAA, and more!